I don't know what it is, but lately I've been so into dresses. Maybe it's that they're so easy to throw on and instantly look put together, or that they're so freaking comfortable and great for summer... Either way, after stocking up on a few more, I've been able to rotate my collection for work and then throw on a jean jacket for the perfect put together look. I just bought 3 super cute ones from Romwe for a great deal - all of them were under $30 total! Since I'm so obsessed, I've rounded up 10 of my favorites at the moment at a variety of price points. 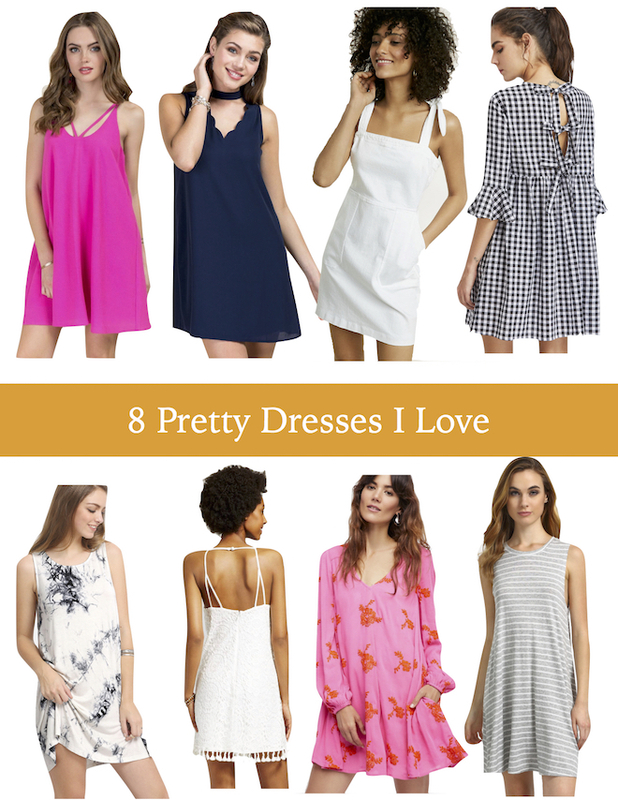 From navy scallops to bow back swing dresses, enjoy my favorites and happy shopping! I think the pink and orange takes the cake for me!